The gift of working with the soul is the soul knows everything about your past, present and future. Your soul always guides you to your highest good and to living a life that is better than you could ever imagine. This 2-day certification training course will give you a spiritual toolbox of techniques to help your clients easily access their higher self, the soul, so they can re-discover their power in accessing answers within for healing, transformation and resolving issues that no longer serve them. They are, ultimately, reminded of their true magnificence, worth, and purpose. Every hypnotist, psychologist, holistic practitioner and soul searchers will benefit from this certification course. You will be provided with life changing techniques to use for both personal growth and to work with clients. The wisdom, healing and guidance you receive from your soul during this two-day program will support you in living a life better than you could ever imagine. Imagine the transformation you could offer your current clients by assisting them in working with the soul. The soul guides with unconditional love, support and protection so you can trust that your client will receive exactly what they need when you use Soul Entrainment™ in your practice. During this 2-day certification* training, you will discover and experience how working with the soul can be the most powerful modality for facilitating long-lasting, positive change in your own life and in the lives of your clients. Using Soul Entrainment® will empower your clients to understand the profound wisdom they hold within themselves. With your help and this training, your clients will discover that when they re-connect to the higher wisdom of their soul, they will be naturally guided to healing and resolving issues that no longer serve them. They will also discover the answers they are searching for regarding relationships, health, life purpose, financial freedom and experiencing more love, joy and fulfillment in their lives. 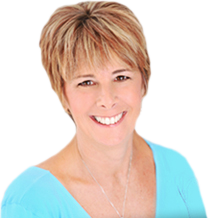 Karen Paolino, founder of Heaven on Earth and Create Heaven, is a NGH Certified Hypnotherapist, Certified Past Life Regressionist, Spirit Medium and Certified Angel Messenger. Karen developed the Soul Entrainment® process to assist her clients in accessing their inner wisdom for healing, transforming, and letting go of issues that no longer serve them. She is passionate about guiding others in connecting with loved ones in spirit for deep healing, forgiveness and spiritual awakening. Over the past 18 years, Karen has been training spiritual seekers, hypnotherapists, psychologists, holistic practitioners and coaches all over the world in this power work. * Certified Hypnotists receive certification at the end of training. All other practitioners and attendees receive certification after completing 10 additional sessions.